The Hutt-Minoh Teacher Exchange Programme was established in October 2015, between the Hutt City Council and Minoh City Office, to enrich both countries’ education for international understanding, to foster global citizenship between nations, strengthen sister city links and to embrace the language, culture, teaching and lifestyles in each country. Are you always encouraging your students' to discover new things, ideas and take opportunities? Well, here is your opportunity to model that behaviour by expanding your own global mind-set and adding many skills to your teaching 'toolbox'. This exchange provides an amazing opportunity for professional development and learning; improving your global citizenship skills in this increasing multicultural world; strengthening community engagement through cross-cultural people-to-people links and making a difference to your own students but also hundreds of young people in the two cities. 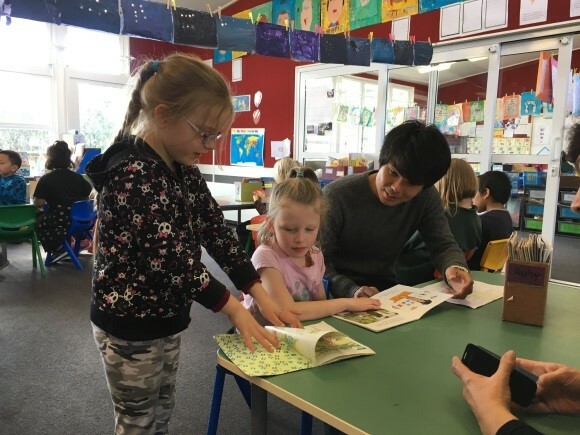 The exchange is for two weeks with Lower Hutt sending two teachers to Minoh City in September/October in 2018 and receiving two teachers from Minoh in August 2019. This year's Hutt to Minoh exchange will take place from approximately 28th September to 12th October 2018. The exchange candidates are home hosted by a local teacher and family. During their two week exchange they will visit local schools to teach English/Japanese, demonstrate their teaching styles and classroom activities, share their culture with schools and the local community, learn more about each country's education system and experience local sightseeing. The Hutt Minoh Teacher Exchange is supported by the Hutt City Council but some fundrasing will also be required. if You are interested in this opportunity?